What does the bombastic, ornery billionaire that has everything get for himself at the holidays? A car-parts and servicing company of course! 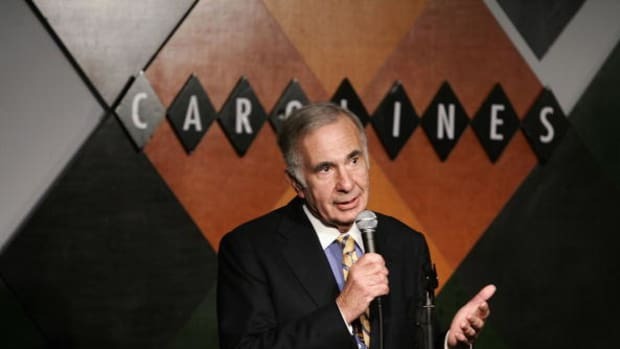 Mr. Icahn, the billionaire activist investor, offered to acquire Pep Boys — formally known as Pep Boys – Manny, Moe & Jack — for $16.50 a share in cash, or $919 million on a fully diluted basis, on Friday, according to a filing Monday with the Securities and Exchange Commission. The bid surpassed Bridgestone’s previous proposal to acquire Pep Boys for $15.50 a share in cash. Mr. Icahn’s offer added $56 million in value to the transaction and was seen as superior by Pep Boys’ board. But what does Uncle Carl want with all those car-parts? Is this the edge that Carl and Lyft have been looking for? Mr. Icahn, who holds about an 11 percent stake in Pep Boys, was unhappy with Bridgestone’s original October offer to acquire Pep Boys in an all-cash transaction for $15.00 a share. So the billionaire investor made a competing bid earlier this month at $15.50 a share in cash, which was then matched by Bridgestone on Dec. 11. Nope, it&apos;s just another game of Icahn keep-away. Now, that&apos;s the holiday spirit.